This little guitar is much less of a precision instrument, but still a lot of fun. I found the instrument in a second hand store for ten dollars. 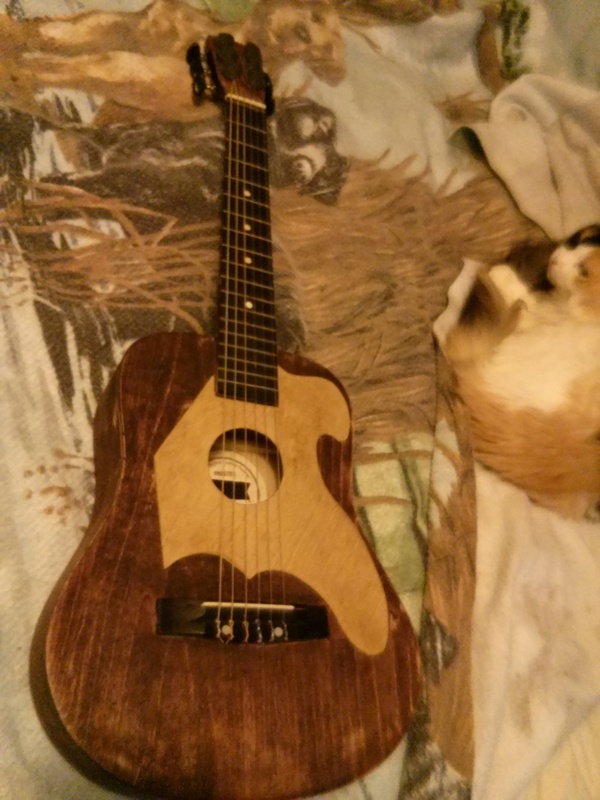 It is a quarter scale First Act acoustic “guitar.” The poor little thing looked like it had gone through a generations or two of children. It was pretty beat up and been repainted more then once. I have had a lot of guitars, all in various stages of functionality, but I never really had a good travel guitar. Every guitar I owned were still too sensitive to be a real travel guitar, I wouldn't feel comfortable bringing them camping or leaving them out in a tent or vehicle overnight. So, I figured that even if I was unable to salvageable this little thing, I would only be out ten dollars. Worth a shot! 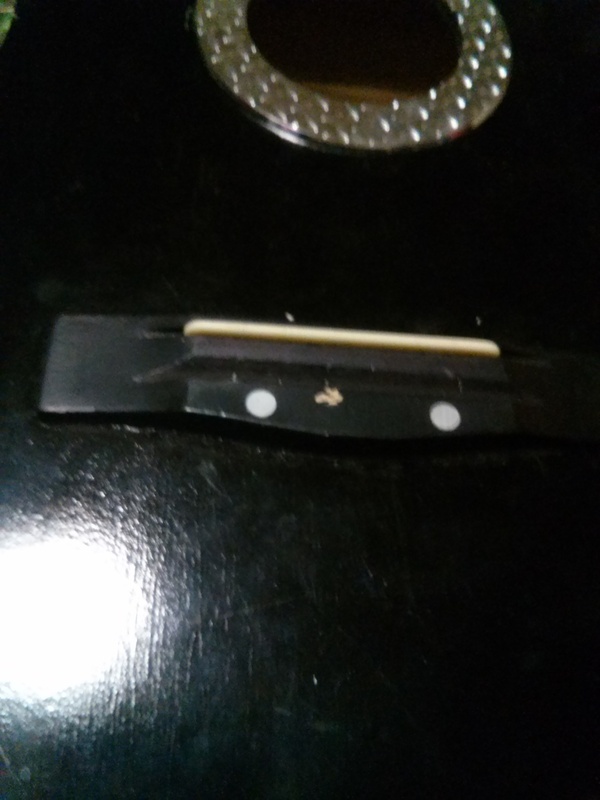 So, I stripped the paint, straightened the neck, did a little touch up work on the tuning pins, fixed the bridge, strengthened the glue in a few key points, stained the bare wood and built one of my wooden pick guards. The guitar works great now! It holds a tune and plays well. All and all, for ten dollars I think I came out on top.